Save the Date for the 2017 Vista Night Rotary Garden Party on Tuesday, May 23, 2017. 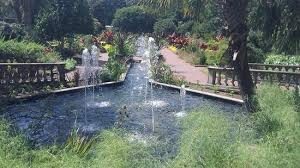 The Garden Party will take place at the Riverbanks Botanical Gardens from 6PM – 9PM. Enjoy live music, great food and a spectacular selection of wine and beer at the Vista Night Rotary Garden Party. This year’s proceeds will be donated to The Rotary Foundation in honor of its 100th anniversary. Its mission is to enable rotarians to advance world understanding, goodwill, and peace through the improvement of health, the support of education, and the alleviation of poverty. The Rotary Foundation helps fund our humanitarian activities, from local service projects to global initiatives. Come support this great cause! Tickets can be purchased on Eventbrite, from a Vista Night Rotary Club Rotarian, or by contacting us below. Sponsorships are also welcomed and appreciated. Sponsorships are available on Eventbrite or by contacting us below. On Friday, November 21 Rotarians from the Rotary of the Vista Night donated dictionaries to over 60 Third Grade students at Bradley Elementary School. The students were very excited to receive the donation and the participating Rotarians enjoyed giving back to local students. The Rotary of the Vista Night is also adopting a family in need this holiday season through the Families Helping Families program and will be bell-ringing for the Salvation Army in December. Want to Serve Your Community? Join Rotary. 2nd Row Right Box, Serving Community Comments Off on Want to Serve Your Community? Join Rotary. Do you want to serve your community? Do you want to impact the world? We have a solution. Rotary International is one of the largest service organizations on earth, with more than one million members worldwide. Rotarians led the effort in the eradication of polio, and they are force in the movement to ensure clean drinking water for everyone on earth. At Rotary of the Vista Night we organize projects to support our veterans, build homes for those in need, help share the gift of learning through Rotary Reader, provide life-saving surgeries for children through Gift of Life and so much more. Think you don’t have time for Rotary? Your hands could be the ones to provide polio vaccinations to children in countries where polio still exists. Your face could be the one lighting up with a smile that mirrors the smile of the child who just got her first new pair of shoes in ages. Your heart could soar with the child in need who got a Rotary-provided bicycle for Christmas. If you’ve been thinking about getting involved and changing the world then please contact the Rotary of the Vista Night. November 4: Please do your civic duty – don’t forget to VOTE! Calling all District 7770 Rotarians! David Tirard, our District Foundation Chair, is raring to take your contributions for the Paul Harris Society. Paul Harris Society members commit to give $1,000 per year to the Rotary Foundation, either by check, credit card, club billings or via TRF-Direct, Rotary’s convenient way to pay monthly via bank draft. Here’s an easy listing of online makeups. Point. Click. Makeup. Your next 100% attendance award is at your fingertips.